Q: What advice do you have for young women who want to pursue a career in politics? Senator Feinstein: I really think a woman must do her apprenticeship in this arena. Find out if you have the motivation and the staying power, because it truly is a difficult path. Become active in politics. Become an advocate. Speak out. Earn yourself those credentials. Work as a staffer in Washington or in state or local government. It’s very important that you know whether you’re suited for this job because it really does take commitment. Q: What is one skill you believe that women should have to facilitate a successful career in politics? Senator Feinstein: I think it’s vital for a woman to develop a portfolio of expertise that makes you stand out. Show that you can be effective, that you can be a constructive thinker. If you’re interested in government, get a job in government. Become a staffer or pick out an area of interest, commerce, environment, agriculture, whatever it is. Become an expert in an area that interests you and builds up your reputation. That’s how you develop name recognition. Q: When will women in politics become the norm? Senator Feinstein: A good friend of mine passed away a few years back by the name of Bob McCarthy. When I was mayor, he told me a story about his children. He walked into his home and found his kids playing the game of mayor, with his young daughter sitting in a big chair with others around her. He asked the children why their sister was mayor, and one of his sons responded, "Dad, you know only a woman can be a mayor." Things have changed. Women in politics IS the norm. Yes, we have a long way to go to get our numbers up to parity, but we’re here to stay. Q: What has been your greatest achievement? 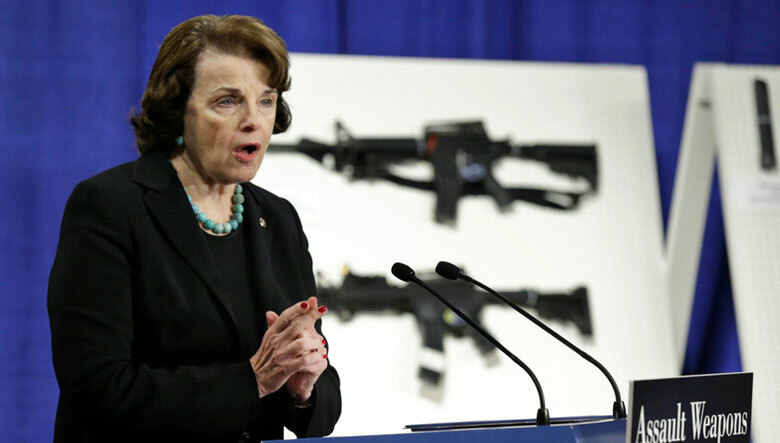 Senator Feinstein: I’ve had a lot of bills I’ve been proud of. I’d say the victory that will probably be around the longest is the 10-in-10 fuel economy bill to raise average gas mileage by 10 miles per gallon in 10 years. It was the first big climate change bill and directly responsible for President Obama’s move to raise gas mileage to above 50 mpg. The assault weapons ban early in my Senate career was also groundbreaking. Unfortunately, we had to include a sunset clause to get it passed, and by the time it came up for renewal, the NRA was well on its way to the behemoth it is today. And I'm also very proud of the report on CIA torture and the bill to ban the U.S. use of torture. Our investigation and study took six years, and that last year was a constant battle with the CIA and the White House, but we persisted and got it done. Q: If there's one wish you could be granted to change the way Congress works ... what would that be? Senator Feinstein: At this moment, I'm more worried about the White House than I am Congress. Donald Trump frightens me. He has access to the nuclear codes, and draws us closer to nuclear war. He has the power to embrace young people protected by DACA, but he turns his back on them. He has the bully pulpit to make a real difference on climate change, but he pulls us out of the Paris climate agreement. He could help lead us to universal health coverage, but he supports bills that would make 30 million Americans uninsured. If there's one thing I wish Congress would do, it's stand up to Donald Trump and tell him, "No. This is not what America is all about. It's not about lining your pockets, it's about lifting all of us up." That's my wish.